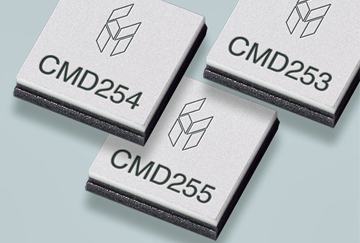 Custom MMIC has introduced a new series of high performance IP3 fundamental mixers, CMD253C3, CMD254C3, and CMD255C3. This new series of mixers features overlapping RF/LO frequencies spanning 6 GHz to 26 GHz, with each model demonstrating low conversion loss high IP3, high isolation, and wide IF bandwidth. These mixers are well suited for use as upconverters and downconverters in demanding aerospace, telecommunications and military applications operating in C-, X-, Ku- and K-band frequencies. This series of mixers exhibits very high isolation from the RF and IF ports, in part, due an integrated and optimized balun structure. Each of these mixers can operate with LO drive levels as low as +15dB. 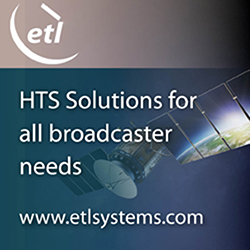 With the addition of external hybrids and power splitters, these devices can be configured as image reject mixers or single sideband modulators. Conversion loss for these mixers is as low as 6 dB, with LO to RF isolation as high as 48 dB. Moreover, this device series offers a LO to IF isolation that reaches 44 dB, and an RF to IF isolation as high as 30 dB. These mixers are extremely linear, with input P2dB figures typically around 15 dBm, and an input IP3 as high as 24 dBm. The performance of these devices is extremely stable from -40 â„ƒ to +85 â„ƒ. Each of these mixers is packaged in a 3 mm x 3mm quad QFN surface mount package, and can be soldered using standard solder reflow processes.